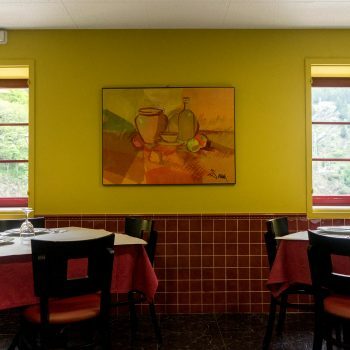 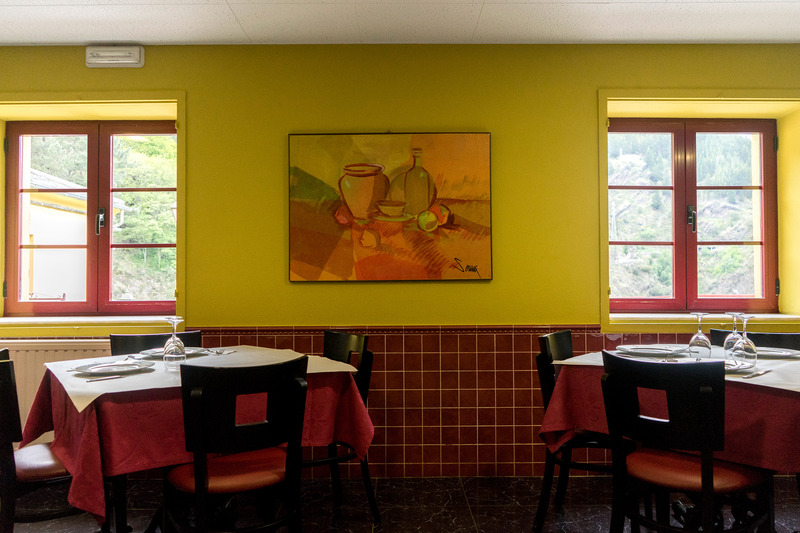 Our restaurant is a quiet place where we offer a fresh and seasonal cuisine, prepared with top quality ingredients specially selected for our dishes. 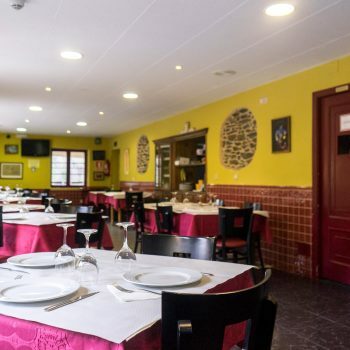 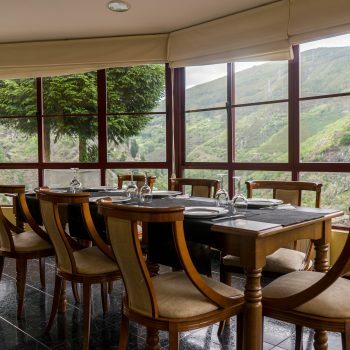 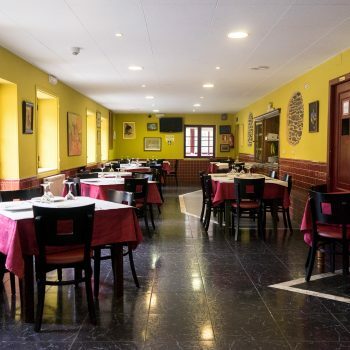 We have an exquisite menu that includes our specialties: red meat of the area and octopus "á feira". 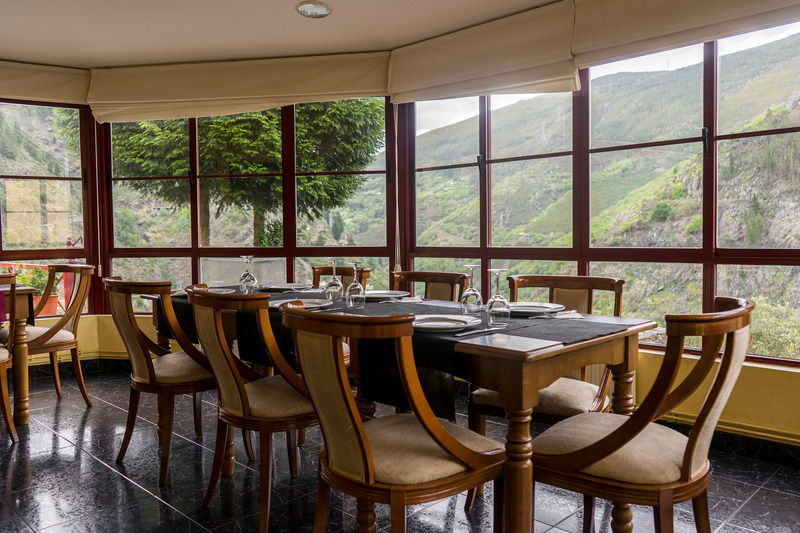 You can also taste our delicious and complete "menú del día" (set daily menu). 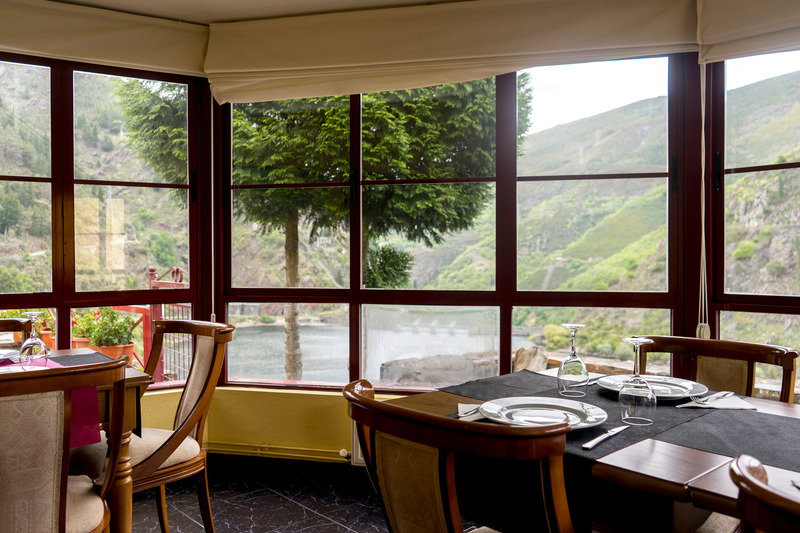 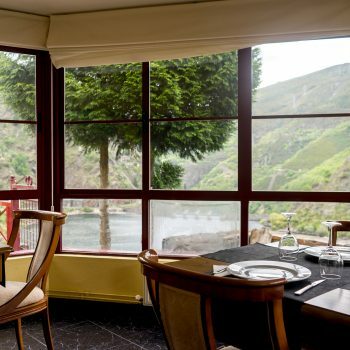 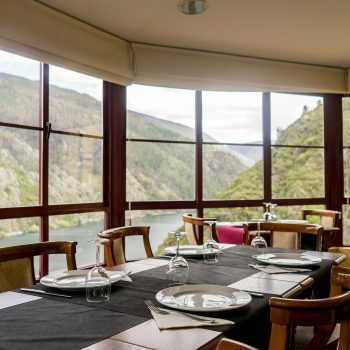 All of this takes place in our warm and peaceful dining rooms and terraces, from where you can behold the wonderful views of the dam and nature. 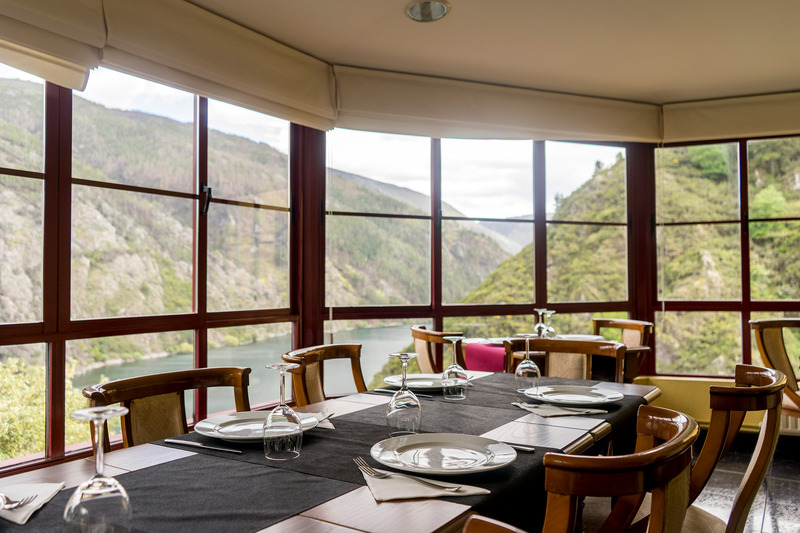 The perfect moment to recharge your batteries before visiting all the incredible places that surround our area. 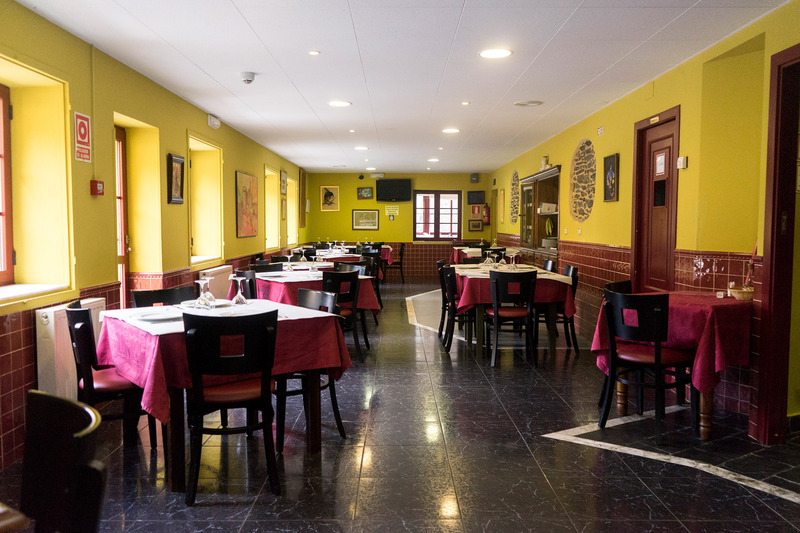 Our hotel is also the ideal place to host all kinds of events: weddings, private parties... a different way to celebrate your special occasions, offering you the possibility of staying in the same place where the event is held. 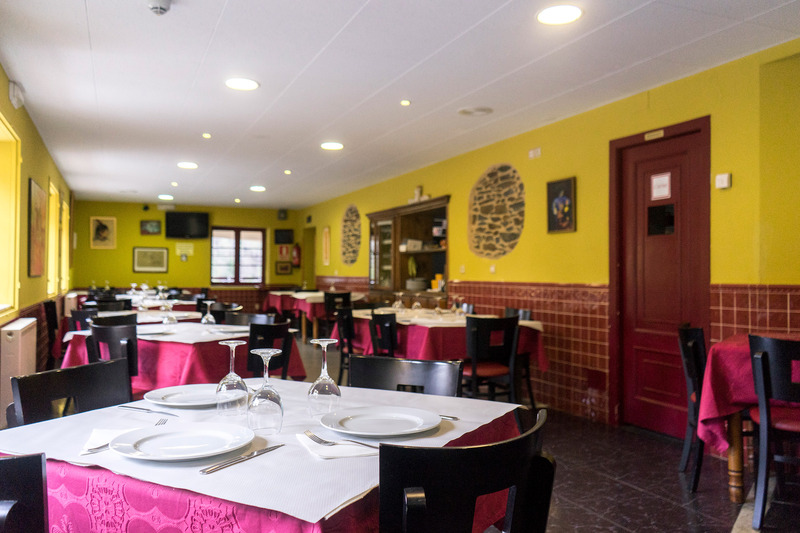 We will help you create an unforgettable experience!